Florence Gladstone wrote the following in her excellent ‘Notting Hill in Bygone Days’ (originally published in 1924). Until the beginning of the present century there was a great stretch of Common between St Helen’s Gardens and Latimer Road. Here cattle and horses grazed. This space had been curtailed in 1884 by the opening of Oxford Gardens School. This school originated in some of the leading tradesmen in the neighbourhood petitioning the Schoolboard to provide State-aided eduction for their children, but at the highest possible fee. And Oxford Gardens was a 6d school until fees were abolished in 1891. Pam Macdonald whose family had lived on Walmer Road since 1889/90 until it was demolished in the 1960s, recalls her mother telling her that she remembered standing on a stool by the kitchen window watching ladies riding horses on Salters Field as it was called, just beyond the school. The building of the St Quintin Estate on ‘Salter’s Field’ did not begin until 1904. Oxford Gardens School can just be seen at the left of the photo above of the new houses on Oxford Gardens. Photographs and memories of two generations of ex-pupils. My grandparents, my mother and her two sisters lived at 1 St.Helen’s Gardens in 1905. 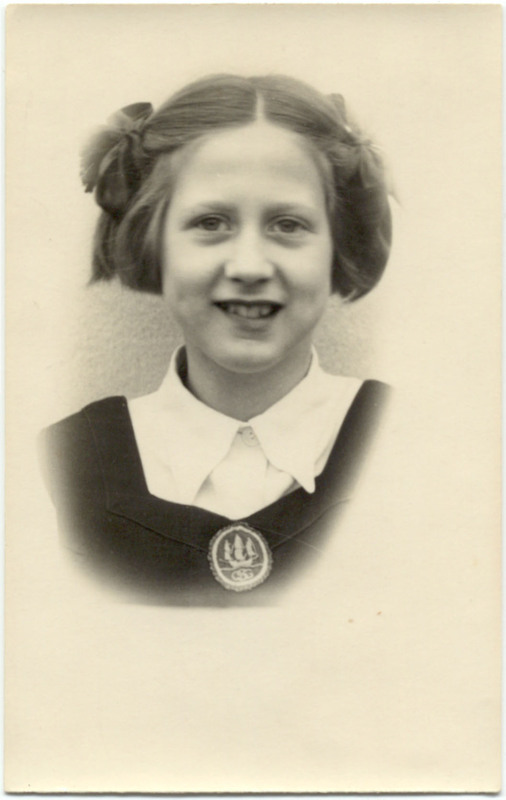 My Aunt, Evelyn Barnard was just 5 years old on her first day at Oxford Gardens Infant School which was right next door. When it came to break time, she didn’t know where the toilets were so she went home. I am sure she would have been returned very promptly! 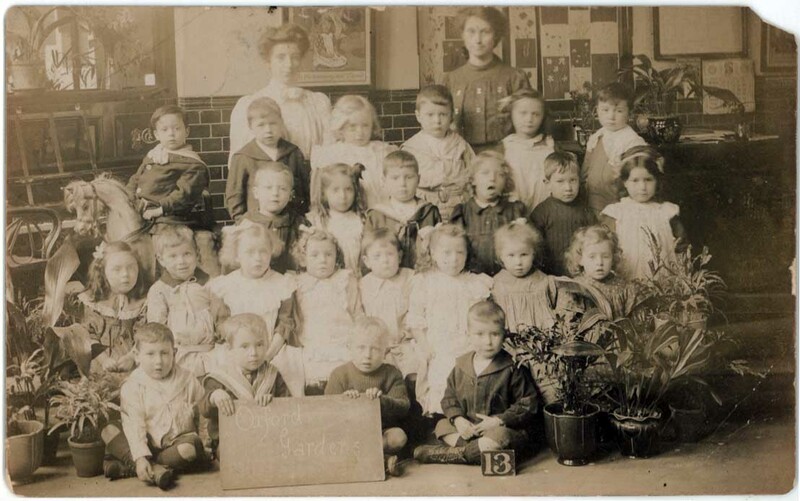 This picture is of a class at Oxford Gardens School in 1906. It shows another Aunt, Ethel Barnard who had just started school. She is the one in the sailor suit, in the second row. 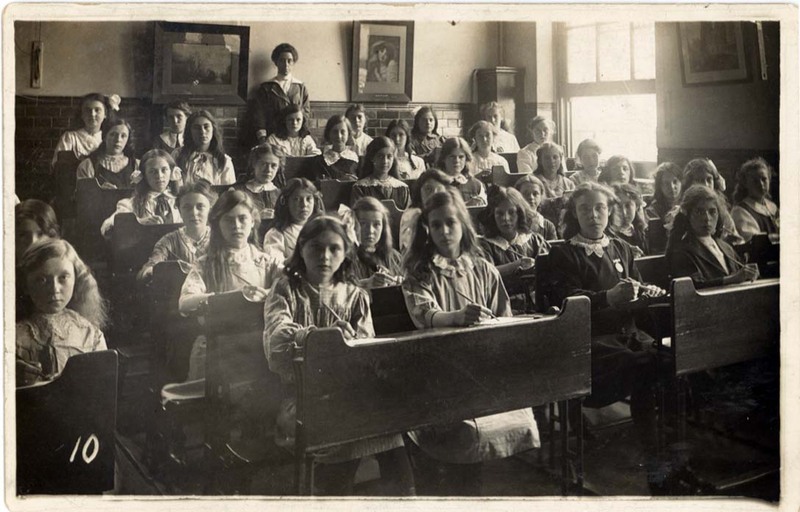 This shows a class at Oxford Gardens School in 1909. 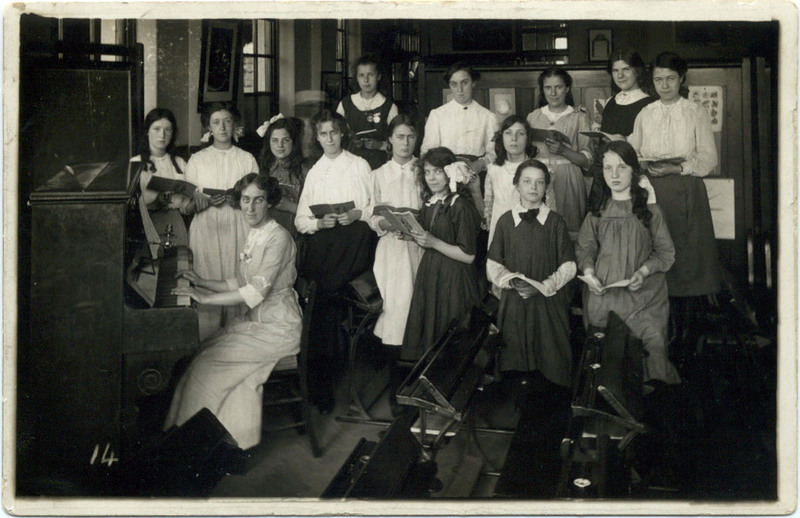 This shows Evelyn Barnard in a music lesson at Oxford Gardens School in 1913. She is in the front row, fourth from the left. Another class in Oxford Gardens School. My mother is first on the left in the front row. She would have been 5 years old, 1908. In 1939 when I was 5 years old I started school at Oxford Gardens. One of my main memories is of there being a large Wendy house in the hall where we could play. Another memory is of having to lie down on beds in the afternoon, presumably to go to sleep. I hated this. In1939 the school was evacuated, but my sister and I did not go; my mother took my sister and me to my father’s home in Wales but we were not there very long and I came back to Oxford Gardens School. As the war continued we were going to and from the country and each time we returned I went back to Oxford Gardens. We used to take a spoon and a cup and we would queue up with our spoons for malt and have milk in our cups. I left Oxford Gardens in 1944 to go to Burlington School. Beryl Davies has sent in two photos. The first shows children from Miss Scown’s class in the playground in 1962. In the back row are Julia Storey, Karen Hurst and Madelaine. In the second row are Sally Peake, Susan Cole, Jaquie Mott, Pamela Roberts and Joan Wall. In the front row are Jennifer Berry and Beryl Lindsay. The second photo below was taken in Mr Barrett’s class on the top floor around 1965. In the back row are Gary Black and Nigel James and in front of them Peter McGraph, Beryl Lindsay, Pat Buzzle and Jane Galloway. Jay Smith has sent in the following class photo. Let us know if you can add any more names. 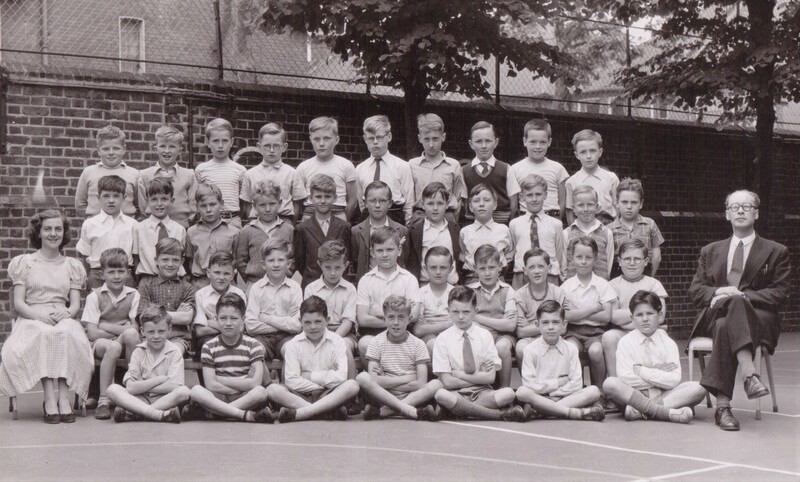 Oxford Gardens School 1960 or 1961. Photo : Julian (Jay) Smith. 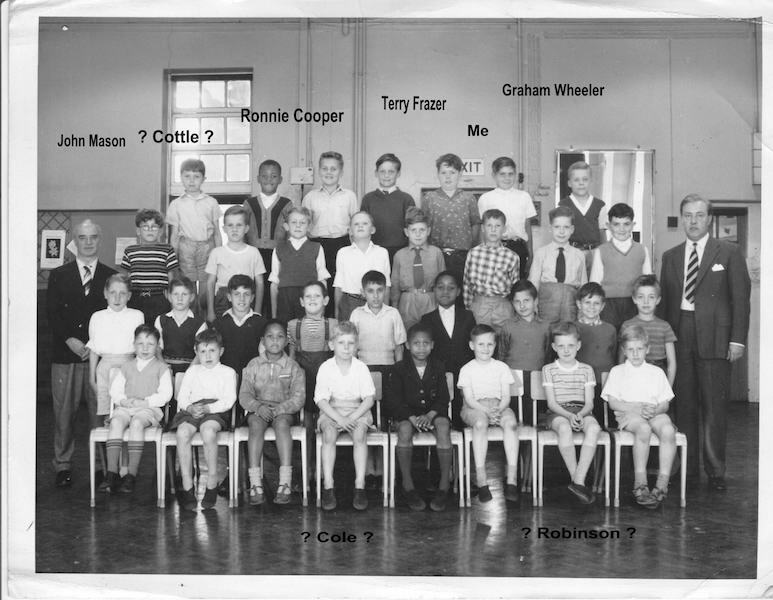 Michael Butler has sent in some class photos below from the late 1950s. He attended Oxford Gardens from 1953 until July 1959. He originally went to St.Francis but transferred to Oxford Gardens when we went to live in Wallingford Avenue. He then went to Latymer Foundation after the 11+ . 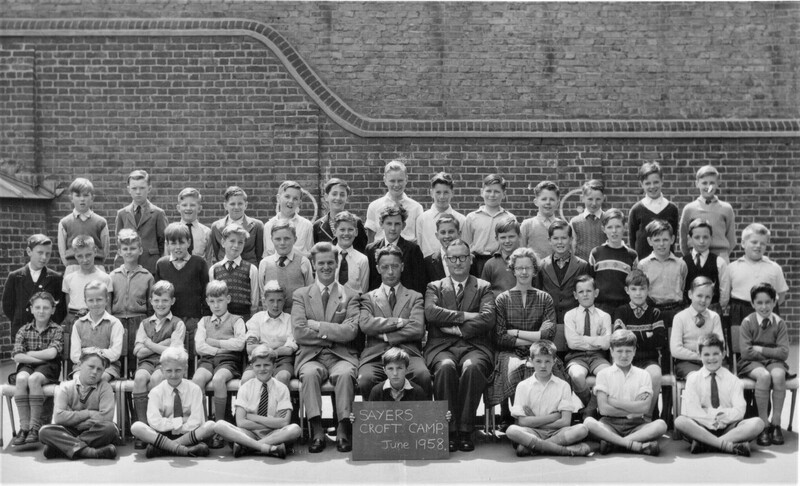 1958 our class prior to Sayers Croft Camp 1958. Teachers left to right, Mr. Barret, Mr.Lusby, Miss Dennison? circa 1959 Headmaster Mr. Van Eyck and Mr.Lusby Glasses. This entry was posted in Schools, St Quintin Park and tagged 1950s, 1960s, Oxford Gardens, Oxford Gardens School, Salter's Field. Bookmark the permalink. Yes I remember Mr Gillies, he was my form teacher, he was a nice kind man. I also remember Mr Lusby. when he occasionally filled in doing English, he spent the whole lesson talking about cricket, which didn’t interest any of us girls. I recall Mr gillis miss grant. Mr Hastings. And headmaster also called Mr hastings. Went there from 1952 to 1958. Infants and juniors. Lived in Chesterton road. You’ve reminded me of so many happy memories I have of Oxford Gardens Junior School. I was there between 1962 and 1966 and my sister, Anne Lindsay, was two years ahead of me. My first teacher was Miss Scown (that’s how I used to pronounce it but I’m not sure that’s how it’s spelt). I remember her being quite round with white hair. Her classroom was situated on the first floor. She gave us weekly tests on our times tables and spelling. When we did well, we were rewarded with one or occasionally two squares of Cadbury’s milk chocolate from her bag. Sometimes it was a bit squashed and worse for wear but we didn’t mind at all. Year 2 was with Mr Barrett in a ground floor classroom. He was such a wonderful teacher and gave up so much of his own time for band practices. I remember us putting on shows and performing quite complicated classical music like Handel’s ‘Alla Hornpipe’ and Beethoven’s ‘Romance’. Heaven knows what it sounded like with all those squeaky recorders! Year 3 was with Mrs Taylor, a tiny Irish lady with dark black hair. Amongst other things she taught us italic handwriting. She would dish out raps across the knuckles with a ruler if you were naughty – my crime was to play in the soap suds that overflowed onto the playground when the cooks pulled the plugs out of the kitchen sinks. Year 4 was spent with Mr Barrett again, this time on the top floor of the school. He was so creative and inspiring and went on to become Head of a school in Fulham. I remember the system used at dinner times. When the bell rang to say play was over, we would come into the lower hall and sit cross-legged on the floor in rows until our class was called. 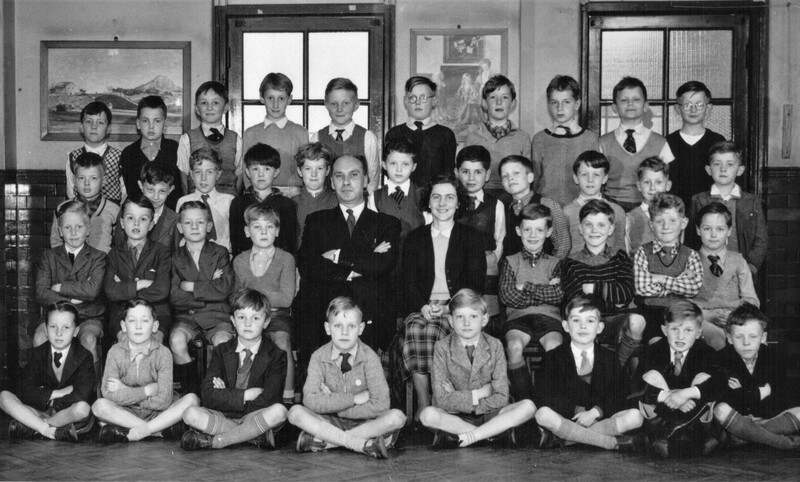 A boy would have the important job of standing on a landing where there was a small open window that overlooked the hall and, just at the right moment, would signal to the teacher in charge (usually Mr Lusby) that it was time for the next class to come up to the main hall for their food. It all worked very efficiently. I clearly remember that once there was a shortage of staff in the kitchen and some of us girls were asked to help out by clearing tables and taking things into the kitchen which seemed to be full of steaming pots and pans – another thing that wouldn’t be allowed these days. While I was there the Headmistress was Miss Allen and there was a Mrs Plumb who seemed strict and taught arithmetic – I learned how to do long division with her – and a Miss Marlow who seemed to me to be young and pretty and took us for PE. Now that I’ve been reminded of his name, I remember Mr Gillis too. One of the dinner ladies/helpers, Mrs Jeffers/Jefferies, was a great piano player and I recall her being able to play any tune by ear in a ‘pub-like’ fashion. She would always help out at events such as Christmas parties/shows. I had a feeling that Miss Scown didn’t always approve of her style! Another treat was on special morning assemblies where, after prayers and hymns, an LP record would be played, one of the favourites was ‘Peter and the Wolf’. Over the years at Oxford Gardens I remember being in class with Pamela Roberts, Jane Galloway, Joan Wall, Sally Peake, Nigel James, Gary Black, Margaret Sayers and Jennifer Berry. In 1966 Pat Buzzle, Jackie Mott and I went on to Fulham County Grammar School for Girls and I’m still in touch with Pat. Oh,Beryl what fantastic memory you have !! Reading your account of that time brought back so many lovely recollections. I remember how Mr Barratt used to make our rounders team practice catching with a cricket ball,to toughen us up. I think we were quite sucessful. You were right about Mrs Plumb. She was strict,gave the naughty ones,the double rulers on out stretched hands !! Hi my name is Melvyn Barrett. I went to Oxford Gardens in the 50s and was in Mr Barrett’s class, played the recorder well tried to. Like my friend Audrey Jones I went to Oxford Gardens School, but due to the war I was up and down between Wigan, Lancs living with my grandparents and then home and to Oxford Gardens School. I vividly remember the cod liver oil on a spoon. I also remember learning to read, the word kite sticking in my memory I remember attending morning prayers in the big hall,looking at this huge crowd of teachers and children and thinking “You are on your own in this world, Anne” l was a little scared of the Juniors in the playground. I also enjoyed the singing lessons. Mr Lusby he took us for Cricket, and may have been our Form Master. Mr Barrett (He had a daughter who attended the school – I think she was named Dembress Barrett. 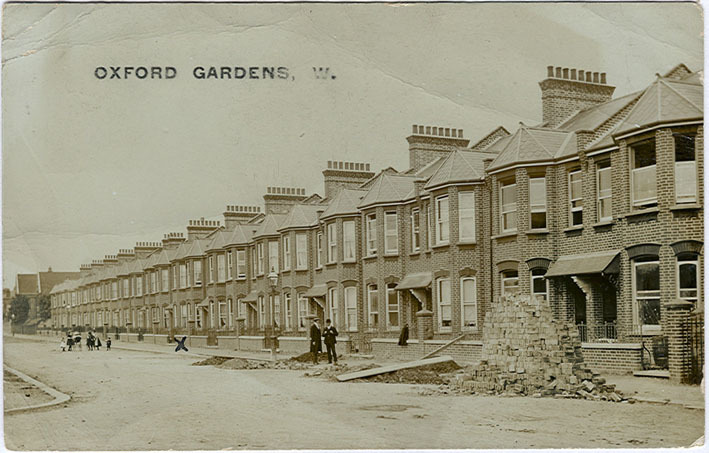 Mr Jones – I believe that he lived in Oxford Gardens. I remember one of the Form classes having a heater with a chimney, and a wicker basket in the room. The room was on the right of the passageway leading to the main hall, from the Oxford Gardens entrance. We had the daily 1/3 of a pint of milk, and a cod liver oil capsule – both good for us. I also seem to remember having a dessert spoonful of a treakly like substance – Malt? I believe that it was on Fridays that we were shown films; sometimes Mr Hacker’s Holiday Films? On other occasions we were shown films on coal mining; and fishing – trawling and drifting. On yet other occasions we were shown film strips; probably on the same subjects. I distinctly remember often being made to sit at the front of the assembly hall during the showing of films, facing the other children, so that I could not see the film! This was a sort of punishment for misbehaving! So, also, was the cane! There was a building which was next to the playground which had the entrance in Oxford Gardens, and this was involved with Aluminium, or some type of metal; and somehow, angular pieces of this finished up in our playground (I wonder how!). We thus finished up pulling one another around the playground with this aluminium strip bent so that we could fit it under our shoes and hence slide on it. Some of the classrooms were stepped, and others on one level. We had a speaker in each classroom, and one thing I seem to remember was the announcement over this, of the death of King George the Sixth. General uses for the speakers were for announcing the change of classes, etc., and for teaching purposes. I would be pleased to hear from anyone who was at the school during this period, and will probably remember other things/names, later. Hello Brian I went to OGS from 1946 to 1951/2 and my first teacher was Miss Grant also I remember Miss Sexton who was I thought a bit more strict. I also remember Mr Barrett and Mr Taylor who came away with us to a school summer camp near Gt Yarmouth. There was a Mr Pinn who taught us the recorder and formed the OGS recorder band and we actually played live on the radio at Maida Vale studios for the programme childrens hour. The last form teacher I had was Mr Williams who lived in St Marks Road. When I first went to OGS the milk was poured out into mugs that were not cleaned properly so there was a bit of a bad smell of sour milk drinking it. I was given a daily ration of Malt and really liked it but that soon stopped when they found out they were giving it to the wrong person when it was really meant to be for a Gary Saunders in the same class of no relation to me. I believe he needed it because he was under weight. I also remember with my classmate Derek Camp getting caterpillars off the tree in the playground and taking them back into the classroom to crawl over the desks that had inkwells set in them that were refilled daily by ink monitors. I remember all of those Names. Do you remember the factory premises that had a wall on the Western edge of our playground? We used to somehow get pieces of aluminium which we put under our shoes, so that someone could pull us along the playground. I believe that this metal came from that factory. I believe that our Headmaster was Mr Hacker. He used to show films on a Friday. Please note that my website, http://www.patently-creative.co.uk (referred to in earlier comments) is now either of very limited content, or no longer available. I thought it was time to “retire”! when i was at OGS (c.1952-58 that building next door was called Mansells, and we were always losing tennis balls and footballs on their roof.. Yes – I remember it now. In a previous reply (which was wrongly believed to be in response to Ken’s comment) I said that I now remember the name Mansells. I thought I was replying to Ken! So he has a reply from me, regarding your comment. If one replies to the email, it is private, but if one makes a comment on the website, it goes public. I will be unsubscribing from follow up comments. Hi Ken. I was there at the same time and have the same memories. Wow. I use to climb up on the Roof of Mansells to return ALL the lost Balls. I lived at #12 Oldham Road. What memories. Robert Murrin should be Ronald Murrin. I believe that another Teacher/Deputy Head, was Mr Gemmell, andhe may have taken us for swimming. Another of my Teachers was Ms Sexton. I remember us having to learn a rather laborious Poem called “The Bells”. We had to recite it at the Kensington Town Hall. I also remember what I think was called Empire Day, when we had flags, and watched masses of aeroplanes fly over London. I am afraid that my class may be responsible for Miss Scown’s white hair by the time Beryl Lindsay attended Oxford Gardens School. Miss Scown was my first teacher and remained my favorite; this may be because her Christian name was also Gladys. Miss King was Headmistress and I adored her. One of my most acute memories is of the day we all assembled in the main hall and Miss King announced the death of King George V1, there were many tears shed as I think most young girls thought of him as a surrogate grandfather. We said prayers and sang the national anthem. Fond memories are of recess and playing ball games against the brick wall in the playground, putting on shows on the landing of the back steps of the school during lunch hours, walking in crocodile fashion to Silchester Road baths for swimming lessons. The teacher who made sure almost all her class passed the 11+ examinations was Miss Brooks. We were all terrified of her but as the years progressed after leaving Oxford Gardens, I am sure we have all come to appreciate the disciplines she taught us. I attended Oxford Gardens School from 1935 to 1942. The school was evacuated on September 2nd. 1939. Teachers involved were Mr. Wise, Mr. Garnet, Mrs. Thoroughgood and Mr A.E. Dawes. headmaster. We were evacuated to Mells village in Somerset. We were supposed to go to Devizes but due to some miscalculation, we ended up in Mells. I was billeted on Farm and lived there until I was sent to Bridgewater, Somerset for continuing education due to gaining a scholarship to the School of Engineering and Navigation. I hated Bridgewater and arrangements were made to get me back to London, during the blitz. I attended Paddington Technical College for three years. My father, Donald Laurence Hodge (1903-2001) attended Oxford Gardens School and subsequently Latimer Upper School. He went on to study chemistry at University of London followed by PhD from Imperial College and post doctoral study in Darmstadt, Germany. From the 1930s to his retirement in 1969 he was a government scientist working for the Ministries of War, Supply and Defence at Woolwich Arsenal and ERDE Waltham Abbey. I have a classroom photograph including him dating to 1913 or 1914, which i would like to share with this website if you can tell me how to upload it. If you want us to put a photo onto the website then you need to email the photo to me, Sue (I am the administrator for the website), at northkenstories@yahoo.co.uk. Make sure it is a JPEG file and send it attached to your email. Please supply as much information that you can about the photos, who when where and any other information. I could probably upload it to the Oxford Gardens School section. i was at oxford gardens school from around 1951-1957 starting in infants then moving to the juniors.. Mr Hitchens was headmaster at first but he died and i remember a very tearful Mr Lusby telling us this at morning assembly, on the stage that had “no quest – no conquest” written above it. It was the firsr time i ever saw a grown-up cry. Mr Lusby took over as head and he took us for cricket, He lodged somewhere near north pole road and i can see him now walking to school with his big brown suitcase – lovely man. i remember Mr Tayor (a bit strict), and Mr Barret (a bit mad!) who used to let us record skiffle songs on his home built tape recorder and taught the recorder band. He used to hold a 10 shilling note out then drop it and if you could catch it in 2 fingers, just below his fingers, you could keep it. It was a small fortune then but no-one caught it. I wonder if anyone else remembers that? i also remember Miss (Granny) Grant who played the piano, and the ginger headed Mr Gillies. Also some fun days at Sayers Croft camp near Guildford. I can remember the names of nearly all my classmates, among them Ron Kimber, Denis McGarry, Neil Clark, Michaei Price, Roger Williams (and many a first friend, i’ve never seen again – Dylan). I used to walk to school from St Quintins Ave, down the plane tree lined Highlever Road, past the horse drawn carts selling coal or milk, past old Ma Marmey’s house (we were terrified of her! ), then back home for lunch every day. What a different world! go to OGS. Does anyone remember Miss Douglas who I think was in charge if the girls, but that might have been at a previous school. What wonderful memories from you all, covering a vast period of OGS experience. I attended OG from 1956-1964, my brother Phillip Burton also attended as well a my older sister Maureen Burton, who still lives close to the school,and who lived in the flats at the back of the school where we could see the playgrounds and most of the building from above. Mr Lusby had a profound impact on my young life, eventually leading me to a career in education spanning 44 years and teaching 3 years olds through to post-doctoral students in Physical Education. Hi my names Lorraine Reeves I attended Oxford Gardens school around 1956. I remember Mr Gillis and I remember a teacher called Mrs Plum. I also remember Mrs Scown or I thought her name to be Gown I maybe wrong. I remember Mr Busby or Husby as some call him. I lived on the Sutton estate and walked to school with Norma Lyons and Susan Brock as I remember. We would walk past Princess Louise hospital on the way. I started Oxford Gardens School when I was 5 until 11 when I went to Saint Marks girls school, which changed to St Quintin Park school, I used to live at 3 Rillington Place. 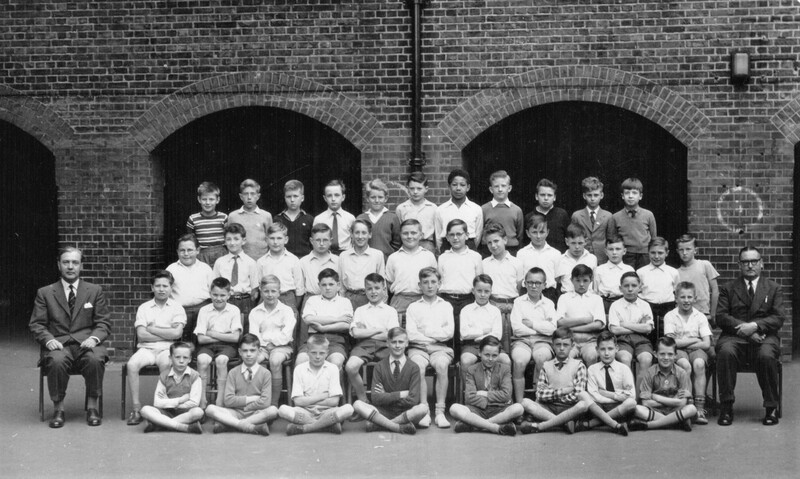 Did any one attend Oxford Gardens during 1945 and 1951, were there any school photos? Thanks for your information. Hello Winifred – I attended Oxford Gardens School between 1948/9 and 1954. I have made some comments previously. I lived at 11A Maxilla Gardens, W10 (now Maxilla Walk) which was just the other side of the elevated, Hammersmith and City Line, from Rillington Place. I believe my great great grandmother started at Oxford Gardens in 1889. Does anyone know what the school was like then? My Name is Stephen Edwards. I went to Oxford Gardens from 1961-1965. I lived in Balliol Road. My Great Great Grandfather, Albert Alexander Capps (1871-1971) had some sort of connection to Oxford Gardens School. He was an estate agent in Ladbroke Grove and had a number of properties in the area. My parents told me there was a plaque in the school because he won a 100 mile road race (Cycle) with The London Polytechnic. Hi Stephen, I think we were in the same class together. I can remember Mr Gammell who took us swimming and managed the school football team. I think I can remember a Portuguese or Italian boy in our class. My name is Joseph Espana. I wento to Oxford Gardens with my brother Bob Stroud, from1934 til outbreak of WW2 when I was evacuated with the school to Devizes. I have a group photograph taken there with teacher Miss Brooks. My brother Clive, and my sister, Shirley, both went to Oxford Gardens, and were evacuated to Devizes during WW2, from our house at 11A Maxilla Gardens, W 10. Clive died many years ago, but Shirley is still alive. I, also, was evacuated to Devizes, but as a baby, and went to Oxford Gardens, after WW2. My Name is Andy Taylor. I was there in the early 60’s. Lusby was a one off ! What was the name of the Scottish teacher, I think his class room was at the top of the building, was it art class? I’ve commented on my time in Oxford Gardens before but this is I think attached to memories of Lacaster Baths. I went to the school from 1960 -1967 (I think!). I lived in Chesterton Road in a house shared with my great grandmother known as ‘nan upstairs’, her younger daughter and her family and an elderly lady, Miss Parry (I think) who lived in the attic! Poor lady must have been freezing as I distinctly remember being taken to see her and seeing the sky through the roof! My real reason for posting this comment is to say how strange life is! In September (2017) I was visiting The Isle of Wight and having a cup of tea at a fete. Another couple joined our table and as one does we started chatting. They lived on the island, we said we were visitors from Surrey. We discovered that the other lady had lived in the town we now inhabit. We chatted further and she said she originally lived in Kensington. It turned out that she had lived in St Quentin Ave and had gone to OGS (albeit a bit before me). She then moved out of the area before going into junior school. My family moved some years later, to the same area it transpired and just (literally) round the corner from her secondary school! The clincher to these spookey coincidences was that we discovered that her grandparents and my great grandparents had lived in Rillington Place! We did exchange names but neither of us had pen or paper and I’ve now forgotten! Isn’t life funny! I went to Oxford Gardens in the late 70s, loved the school, my best school and friends ever, often dreamt of the school in my adult years,I remember Mr Chalk, very distant headmaster, the school gave me the creeps at times, was so big, and mysterious. Melvyn did you live in Blenheim Crescent ? Hi my name is bill Lawrence I attended Oxford Gardens from 55 – 59 then went on to Isaac Newton I also lived in Rillington place with my gran at no. 8. I recall mr. Busby and the head master in 58-59 was mr.Van Eyck. i think we is cousins. Hello Bill Just a quick add on, was it you who lived in Acklam Road. I remember going up there once or twice with whom i thought was you. 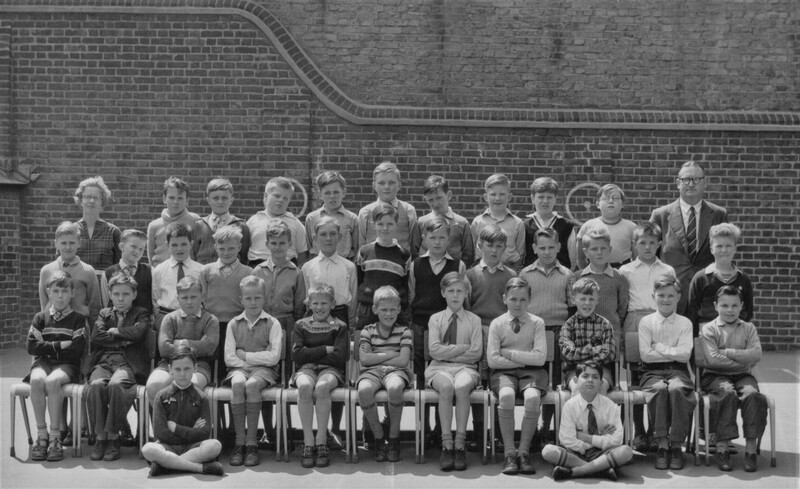 I went to Oxford Gardens Junior school between 1967 and 1970. I only lived down the road so a few minutes to walk to school. My name is Rosemary Plumridge (nee Carr). I remember my first year there and my teacher was Miss Grant, a very strict elderly lady. Second teacher was Miss Marlow, then Miss Taylor and finally Mr Lusby. I was also in the school band and played recorder and remember Mr Barratt. Headmistress I think was Miss Allen. I also remember going to Sayers Croft, twice even and had a great time. I did the 3 hill walk, Box hill, Pitch hill and Leith hill – anyone else remember. Sitting in rows in the hall and being given our milk allowance, cold in the winter and yet horrible in the summer as the milk was warm. Many happy and fond memories of a lovely school. I also attended the primary school. I was there between those dates although i moved to Aylesbury in 1965. We lived in Balliol Road, my grandmother lived in Cambridge Gardens and my Great Grandfather lived in Highlever road. my next door neighbour was Keith Shirley and across the road was Silvia Hoy, both in school then. Mr Lusby and Mr Hitchin were the only 2 teachers i can remember. my friends in school were Richard Berryman, Fred Baldry and Ricardo Elaine. but i haven’t seen anybody since I left in 1965. What wonderful memories came back when reading these histories. I attended Lancaster Road School 1951-1953, then Oxford Gardens School from 1953-1957, before moving to Burlington School in 1957 leaving in 1964. I remember Miss King, headmistress, Miss Scown, my first teacher, then, I think, Mrs Millar and the last two years were with a real tartar of a teacher whose name I cannot remember at the moment. I do remember my classrooms being on the first floor at Oxford Gardens, with the boys on the ground floor. There was one occasion when the fire alarm went off, we all trooped downstairs into the playground, only to be surprised to find the fire brigade running into the laground. The kitchen on the first floor had caught fire. I was told by friends (Colin and Geoffrey Mendoza) in the boys school on the ground floor that the first they knew about it was the water pouring through the ceiling from the water hoses. Hello Sally Davis. It was me who chatted with you at the fete on the Isle of Wight where I now live! I attended Oxford Gardens from 1952 until 1955 and I loved my time there. I had a friend called Oona. I remember learning to write “between the lines” and I had a lovely teacher who was very encouraging but can’t remember her name unfortunately. I know I could write very well for my age, as my mum kept an essay I wrote about how I’d like to live on the Isle of Wight, (where we used to go for holidays and where, coincidently, I now live). In it I described all the rooms and the garden. When my family moved from 83 St Quintin Avenue to Putney, I attended Elliott School. When I married, I moved to Guildford where Sally now lives and my grandmother and my mother and father lived at 8 Rillington Place. It is indeed very spooky. I remember your name now I’ve seen it! Hope you are all well. You’ve found you’re way to this site. I have done a bit more family research and discovered that my great grandmothers sister latterly also lived at No 6 Rillington Place and was there in 1939 (1939 Cencus) as were a certain Mr and Mrs Christie at No 10. When did your grand parents/parents live in Rillington Place? Hope to get to IOW again soon. Hi Sally, lovely to hear from you! I’m not sure how long my grandmother and my dad lived ar 8 Rillington place, but I do know my mum definitely lived there at the age of 16 (my dad took her to my nanny’s because of problems at home with her parents) which would have been in 1941, but by the time of my parents marriage in 1943, they lived in St Quintin Avenue, together with my grandmother. My nanny would always meet my mum from the bus stop after work, as it was blackout, and she didn’t trust the man at number 10 Rillington Place! I really wish I knew when my nanny started living at number 8 Rillington but it must have included some years before 1941. Wish I’d asked more questions. Nanny died when I was seven. My grandmothers name was Mrs Margaret Elizabeth Girardot and my dads name was Walter Philip. He was the youngest of nine. Nanny was widowed in 1931 due to my Grandfather being gassed in the First World War, so I am wondering if it was then she moved to Rillington Place. My email address is christineart7@gmail.com and if you visit the island, perhaps we could meet up for another lovely chat! 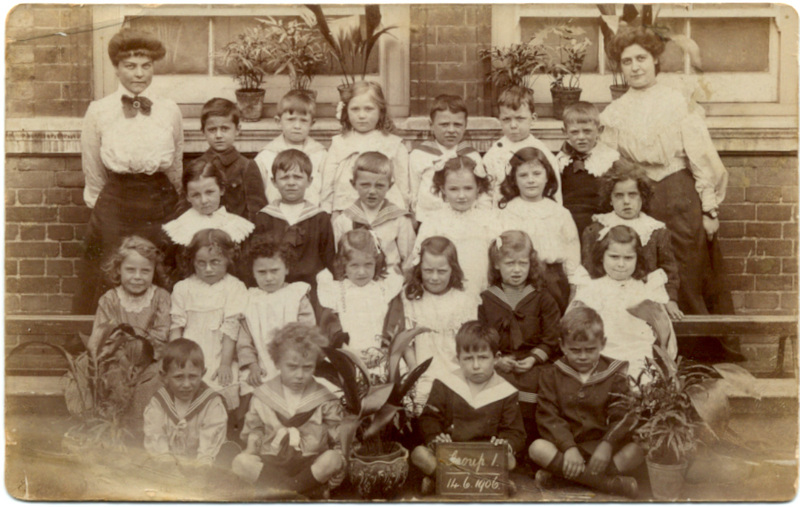 I have a very old photo taken 1906 of a boys class at Oxford Gardens School. It belonged to my dad. But he’s not in it as wasn’t born till 1921. I’m not sure why it was in his possession. Goodness me, this site certainly brings back memories of my time at Oxford Gardens Primary School. I began Infant School age 5 years in 1950 or thereabouts. The Infants building was to the left as you entered from Oxford Gardens. I progressed to the Juniors. I remember Mr Hacker was the Headmaster, he would take assembly every morning standing on the stage along with other staff. A grand piano sat to the right of the stage and Mr Wynn, I believe, played music for the morning service. Boys class rooms were on the ground floor, girls upstairs. We also had our school meals on the first floor. I too remember the small bottles of milk, what a treat! Of the teachers, I recall Mr Lusby, he taught the bright boys. He also taught them to play cricket. At lunchtime he could be found in the front playground with his selected team. He placed a metal plate on the ground in front of the wicket, if the bowler could pitch the ball to strike the metal plate he would be rewarded, with a penny I believe. The teacher I remember the most was Mr Barrett, he taught the recorder and was my class teacher. Not a man to upset, I remember him smacking me across my face for speaking out of turn. He lived in Cambridge Gardens. Being of Welsh origin, I had a voice and sang in the school choir. In my class was another Welsh lad named Anthony Hopkins (not the actor), his father owned a dairy in Latimer Road. I recall an occasion at prize giving, I believe, when we sang a duet for the entertainment of the parents assembled. Lancaster Road swimming baths was used to teach us to swim. The caretaker lived in the house at the end of the play ground. Mr & Mrs Double, they had two sons, one named Michael, who was a member of the same Scouting Group I belonged to. 22nd Kensington. Our meeting place was the assemble hall at Oxford Gardens School, so having left the school aged 11, I returned once I joined the Scouts. I lived in St Quintin Avenue during my time at the school, all three of my sisters were pupils too. I recall the magic lantern shows given in the hall, also near Xmas time, a group of puppeteers attended the school, they performed on the stage. It was a wonderful experience, I believe the theme of the performance was Neptune, the Roman Mythology God of the Sea. I went on to secondary education, and was a pupil at Holland Park School on the day it opened, where Sir Alan Clarke, the first headmaster, welcomed us. At that time in my life Oxford Gardens Primary School was a wonderful place to be.